Quality sleep is vital to good health and you can’t get quality sleep without a comfortable sleep environment. What you lay on is the most basic and important aspect of your sleep space. This category is a broad one as it includes mattress toppers, mattress protectors, underblankets, overlays, sleep mats and more. If you are looking for a product to improve your sleep comfort then look no further…. We have your mattress covered! Whether you have a single bed, a king bed or even a water bed there is a cover or topper for you. 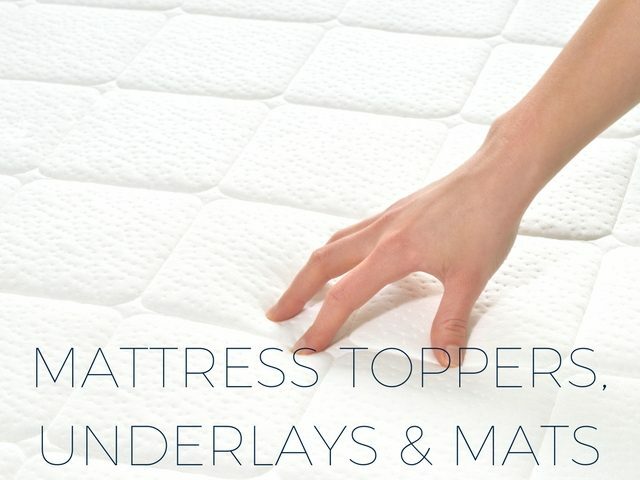 Mattress toppers and underlays go on top of your mattress and under your usual bedding. Some underblankets and sleep mats are designed to go on top of the bedding so they are in contact with your body during the night. Some are designed to relieve muscle and joint pain, and others can help you stay warmer (or cooler) during the night. Consider what purpose you want a topper or underlay for before you choose the right one for you. Mattress protectors are a necessity as they prolong the life of a mattress and stop little accidents ruining the mattress. The companies listed here offer excellent mattress toppers, mattress protectors, sleep mats and underlays that will improve your comfort and relaxation. They will all ship to anywhere in Australia. Don’t forget to check out our guide to shopping online for sleep products. The products section on this page showcases some of the best covers and mats we have found. These get changed regularly so remember to check back to see new and exciting products.